Looking back through history and observing the greatest records of all time, there doesn’t appear to be one clearly unifying quality as to what makes them great. Certainly they all have a cohesive flow, each song carrying its own weight, which, with the support of the other songs, keeps the album powerful as a whole. But what becomes increasingly evident through trips back through pop music history is how much weight is placed in the first few seconds of the album. A solid opening is absolutely essential, and often only comes down to one clear and isolated sound. Whether it’s Elvis Costello’s voice opening his first three albums, Robert Plant wailing “Say hey mama like the way you move,” the harp at the beginning of “Wouldn’t It Be Nice,” or the heavy thwack of David Lovering’s drums on “Bone Machine,” a great album grabs you in the simplest of ways before unleashing the vast array of sound about to spew forth from your speakers. Montreal’s Wolf Parade understands this pattern and, thus, decided to begin their Sub Pop debut, Apologies to the Queen Mary, with the most foolproof of attention grabbers: the drums. Hisssss – WHACK – Hisssss – WHACK WHACK! The beat which opens “You Are A Runner and I Am My Father’s Son” comes like a Mack truck rolling down a rocky cliff, creating an avalanche of granite and dust in its wake. 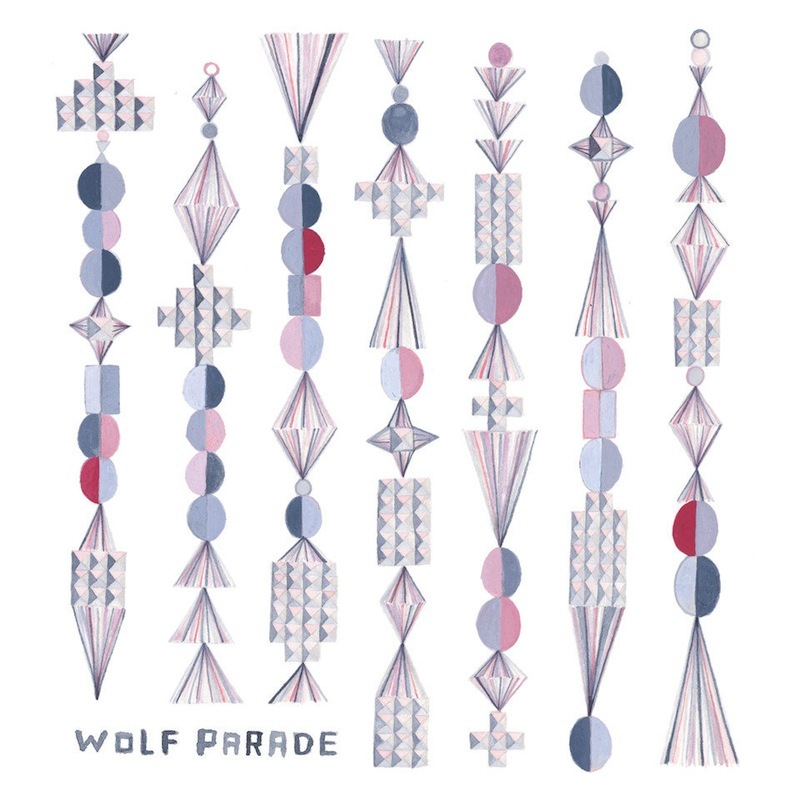 And with that none-too-subtle introduction, Wolf Parade lets loose on a track that will, without a doubt, rank among the classics above. With a Tom Waits-like organ riff, haunted and unsettling vocal harmonies and a starkly memorable melody, “You Are A Runner” has cemented itself as an instant favorite for 2005. There is a string of upbeat rockers that follow, starting with “Grounds for Divorce,” a song that bears the strongest resemblance to Modest Mouse, with whom Wolf Parade have shared a stage or two and whose Isaac Brock produced the album. “We Built Another World” and “Fancy Claps” follow, creating a more chaotic fuzz-pop sound, while “Same Ghost Every Night,” the first of two ghost songs, provides an atmospheric, bluesy respite. Boeckner provides vocals to two of the album’s best songs, which sandwich the seven-minute epic “Dinner Bells.” “It’s a Curse” is quasi-gothic post-punk dance pop, with a killer hook and even more spookiness, which is fitting considering this is a band with two songs that mention ghosts in the title. And closer “This Heart’s On Fire,” as its title may indirectly suggest, hearkens back to Springsteen’s epic material between Born to Run and Born in the USA. While many of the songs on Apologies to the Queen Mary are reminiscent of many of the band’s heroes, they are all distinctly Wolf Parade songs. It’s rare that a band can truly find their sound on their first proper album, but this Canuck four-piece have pulled it off, and in the process, created one of the year’s most essential recordings. Apologies to the Queen Mary is a powerful and emotional trip, one that will capture many hearts and perhaps break some as well. And with each new spin, that cinder block drum crash is going to ambush yet another unsuspecting first-timer.